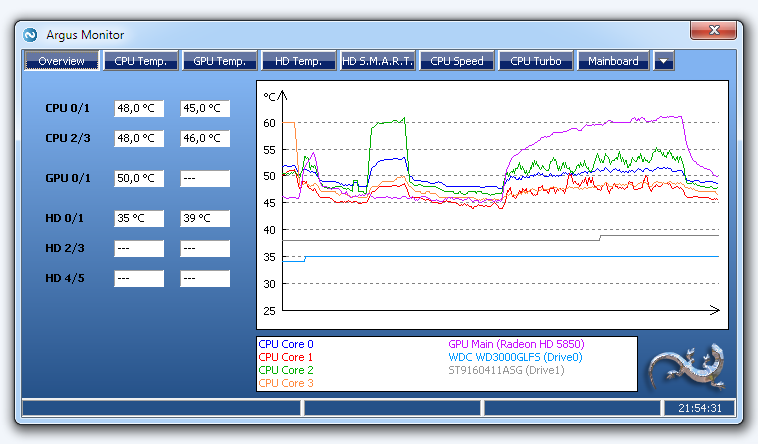 Argus Monitor is a software for monitoring temperatures and status of serveal system components, e.g. CPU temperature, GPU temperature and HDD temperature. All temperatures are displayed numerically as well as graphically. Additionally, the status of the hard disk drive will be monitored by constantly checking the so called critical SMART attributes.